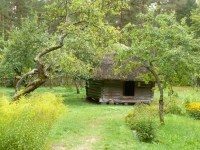 My lovely husband Robert planned and organised our trip to Latvia as a birthday treat for me. 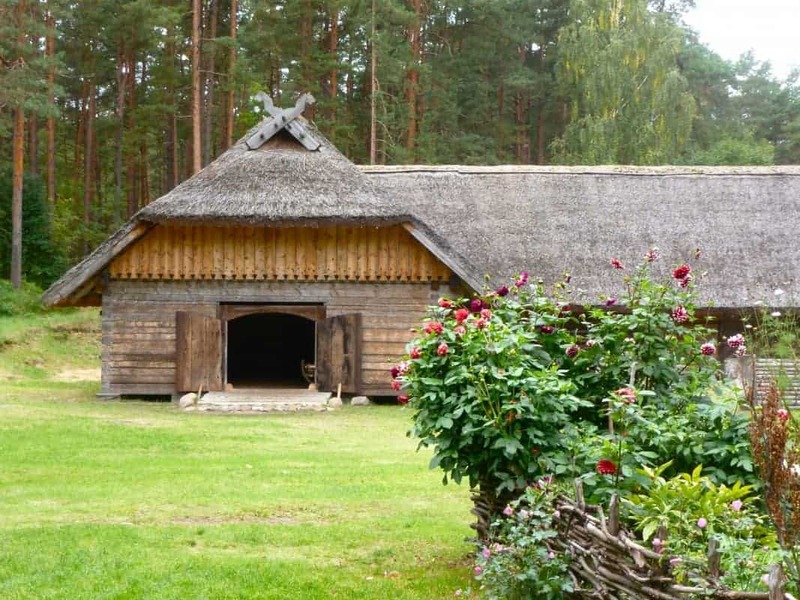 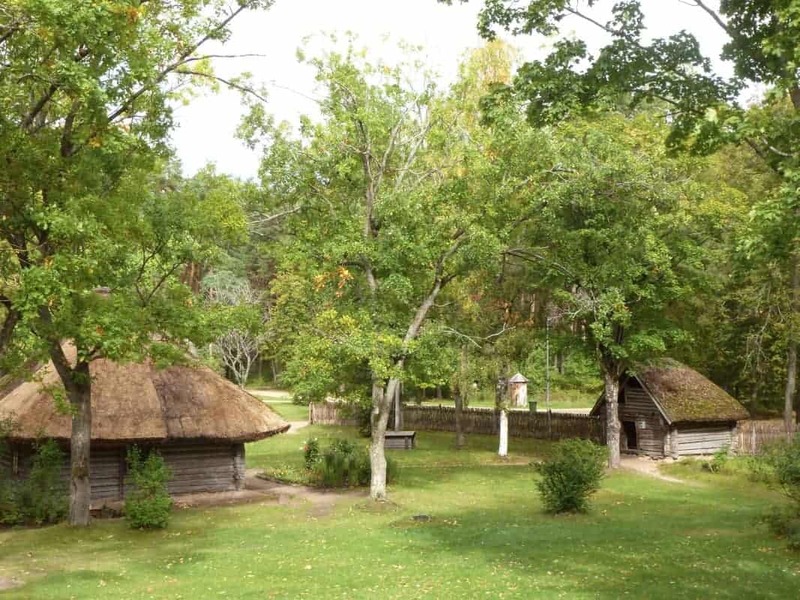 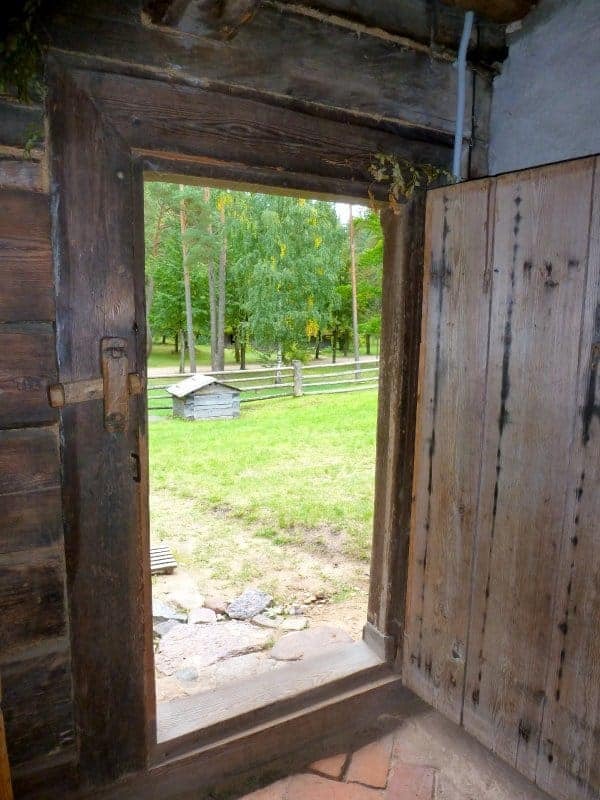 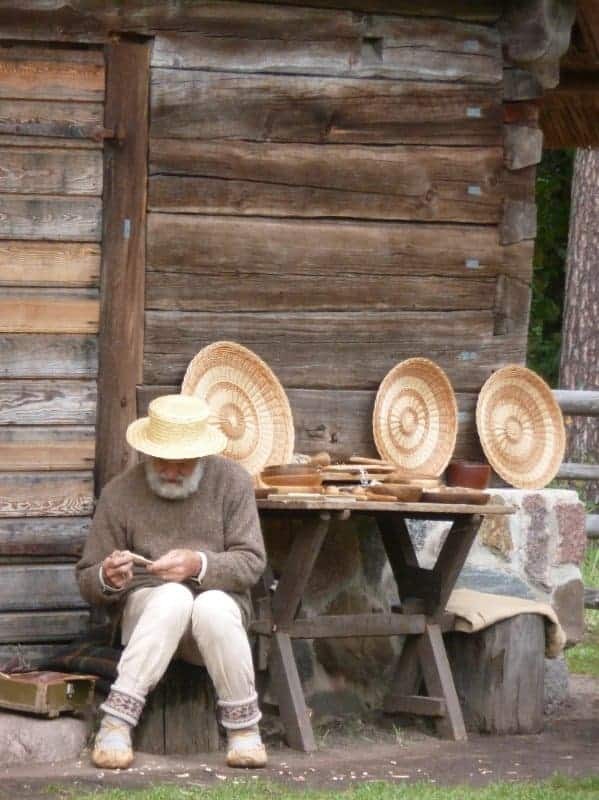 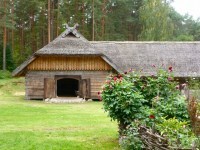 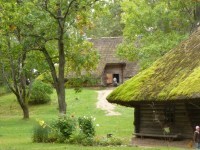 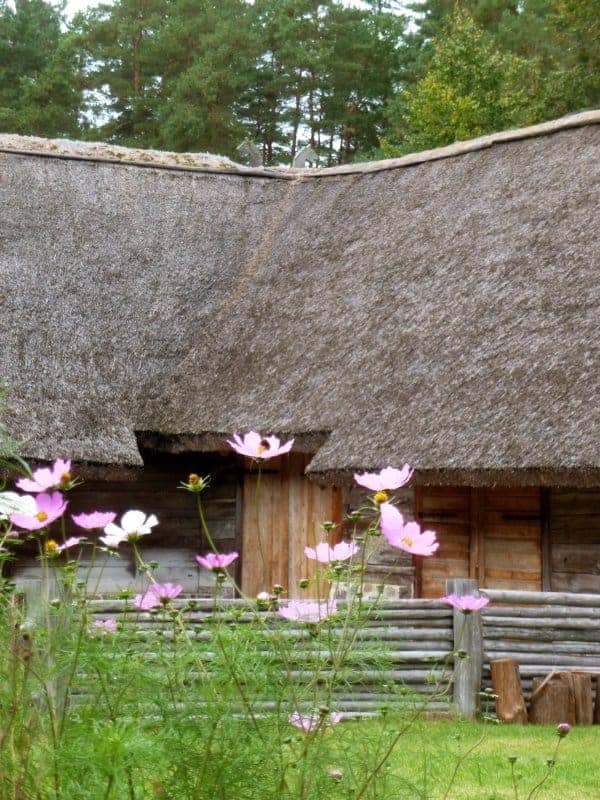 I celebrated a significant birthday on 17 September, and I chose to spend the day at the Latvian Open-Air Ethnographic Museum. 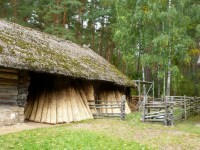 I love that kind of museum! 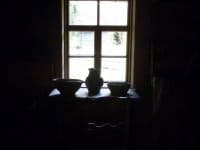 I’ve visited quite a number over the years – in Russia, Ukraine, Romania, Finland, Estonia – and the original one, Skansen in Sweden. 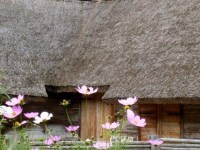 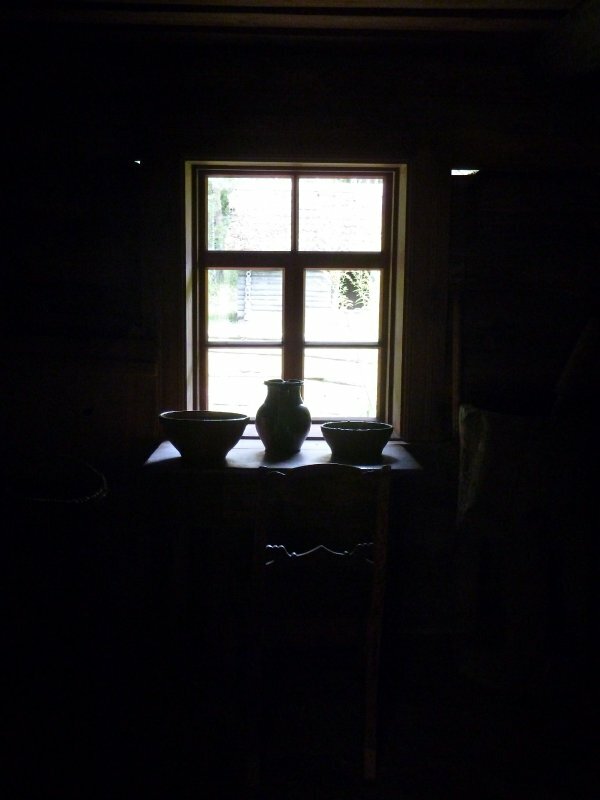 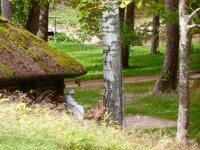 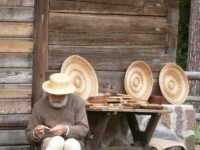 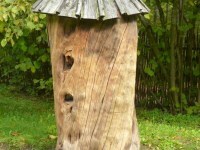 There’s a great one in England too – the Weald and Downland Museum in West Sussex. 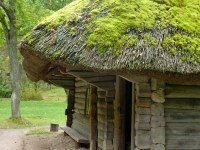 And St Fagans in Wales. We travelled by bus about half an hour from the centre of Riga. 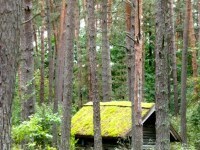 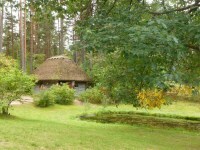 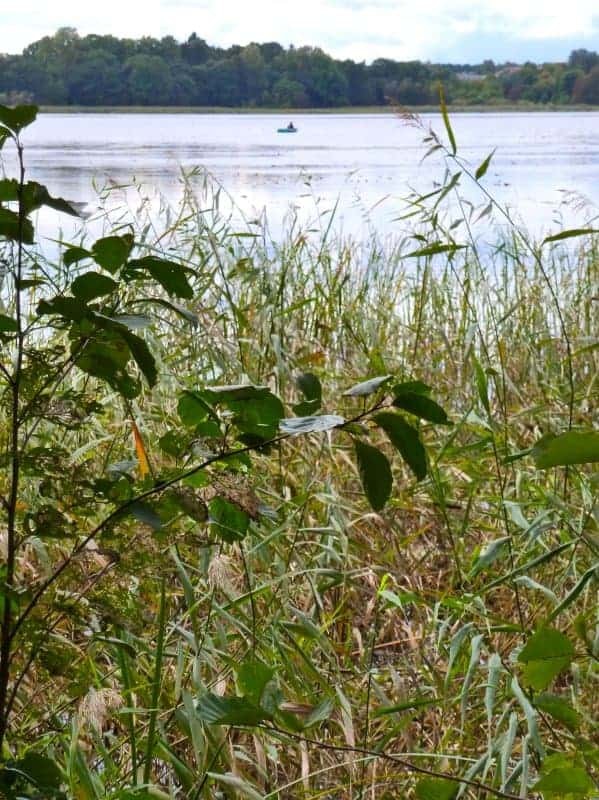 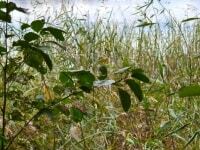 The museum is spread out across a huge forested area, beside a lake. 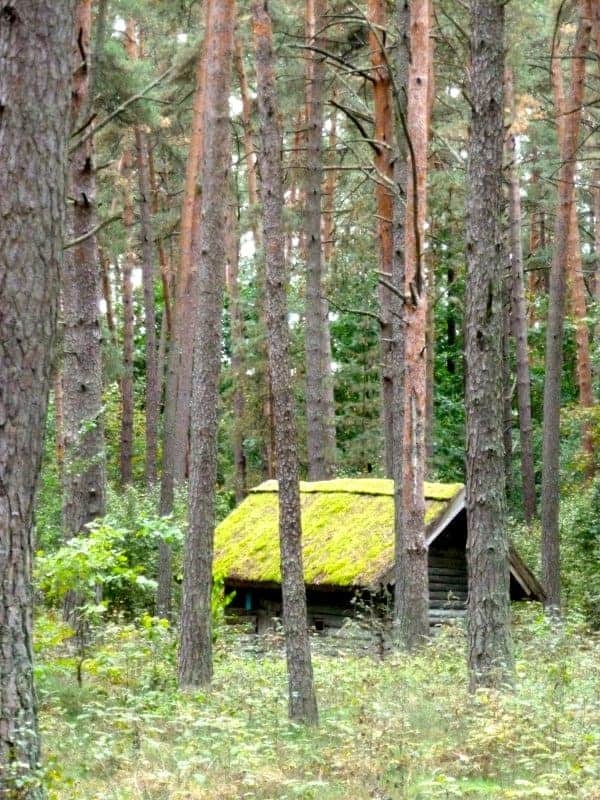 We spent nearly all day there, and still didn’t see every building. 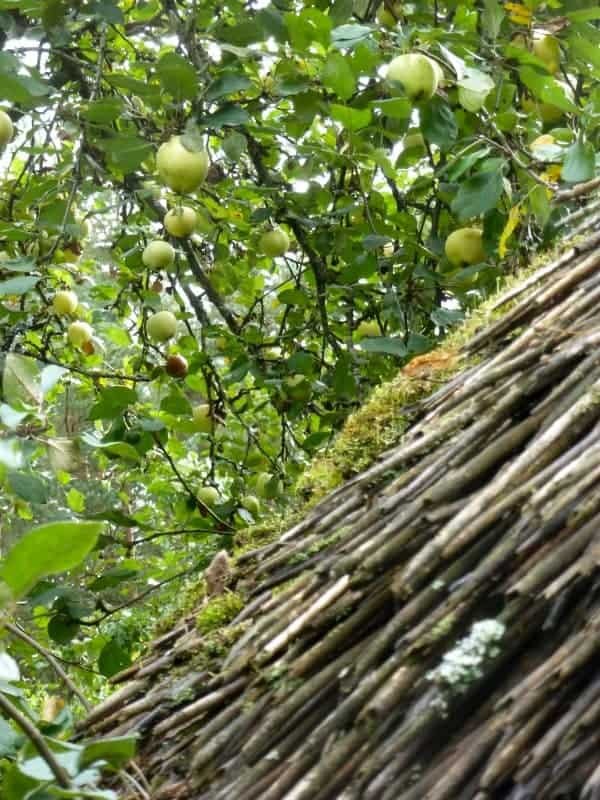 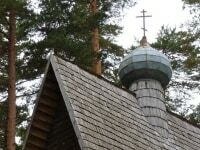 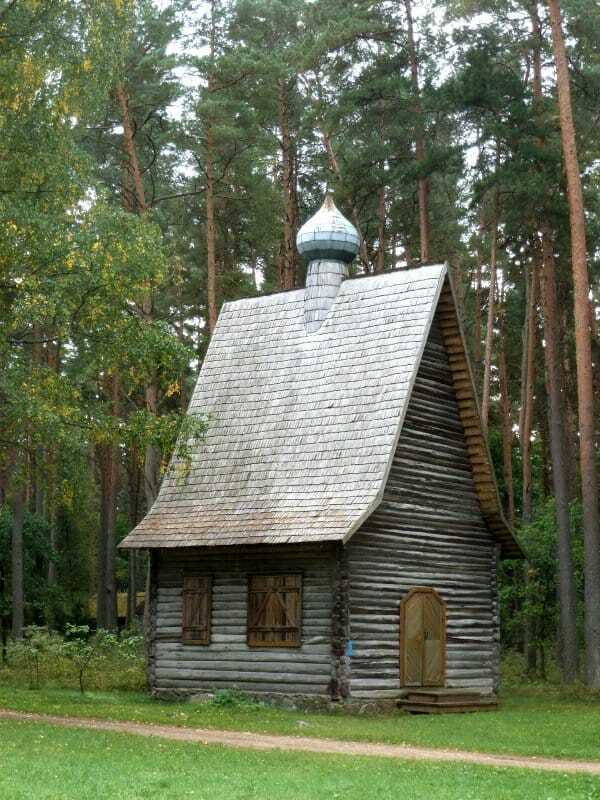 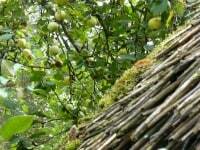 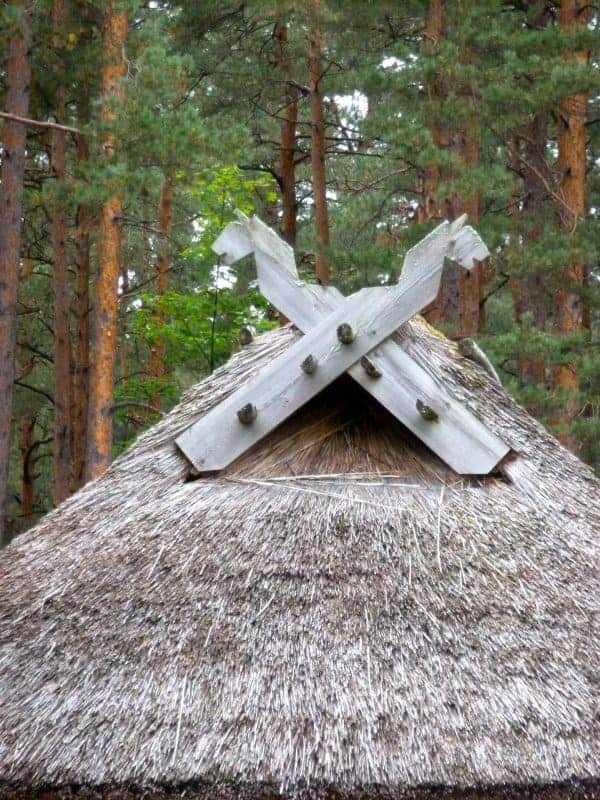 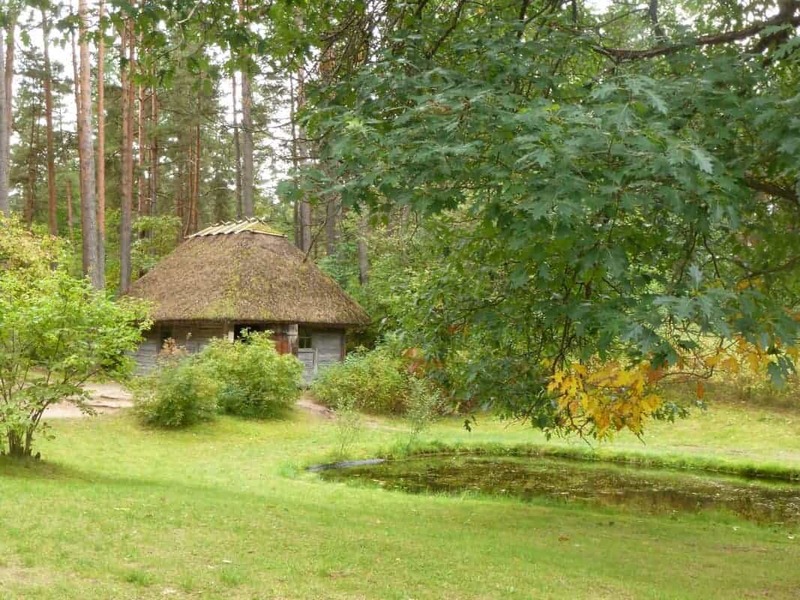 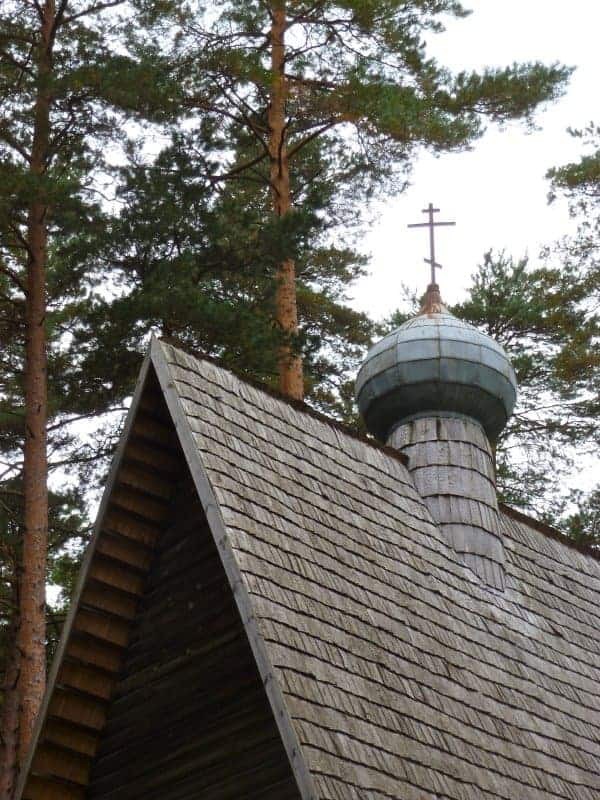 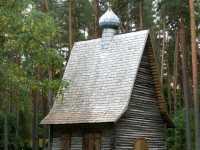 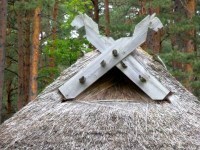 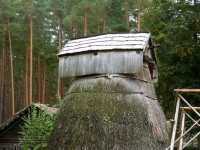 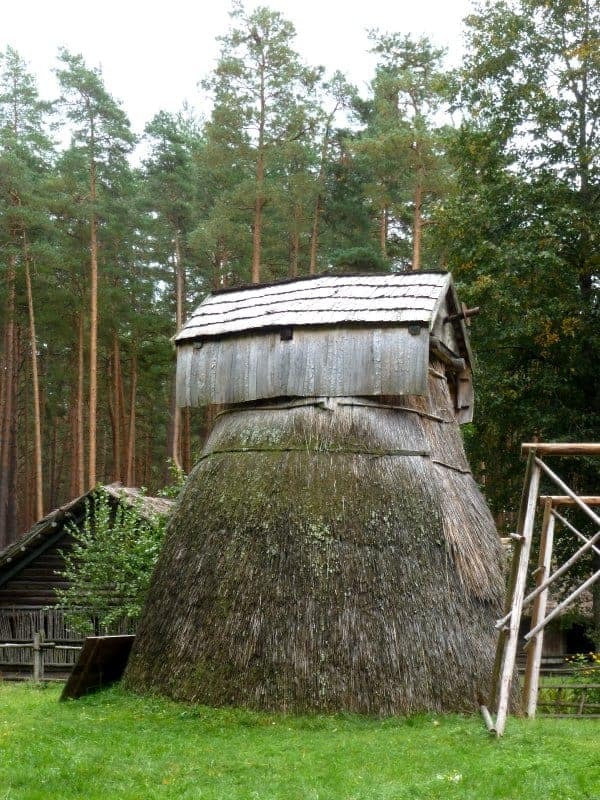 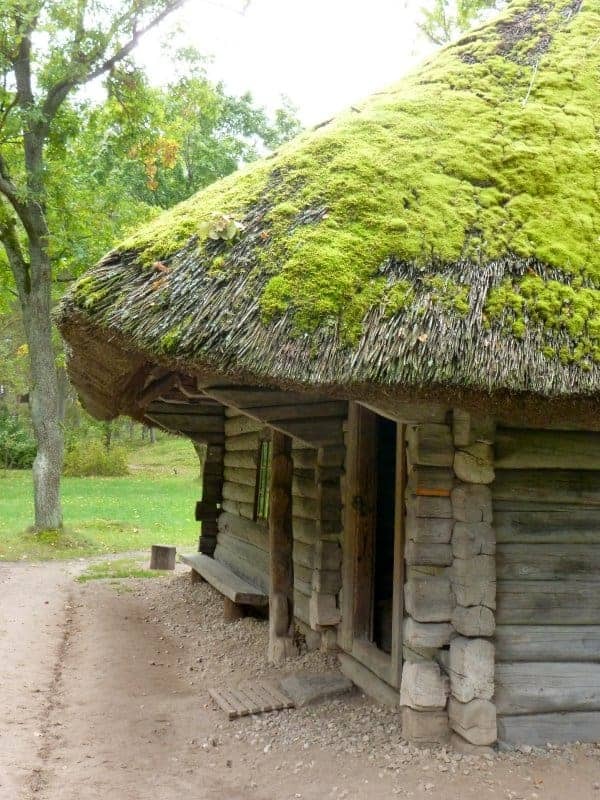 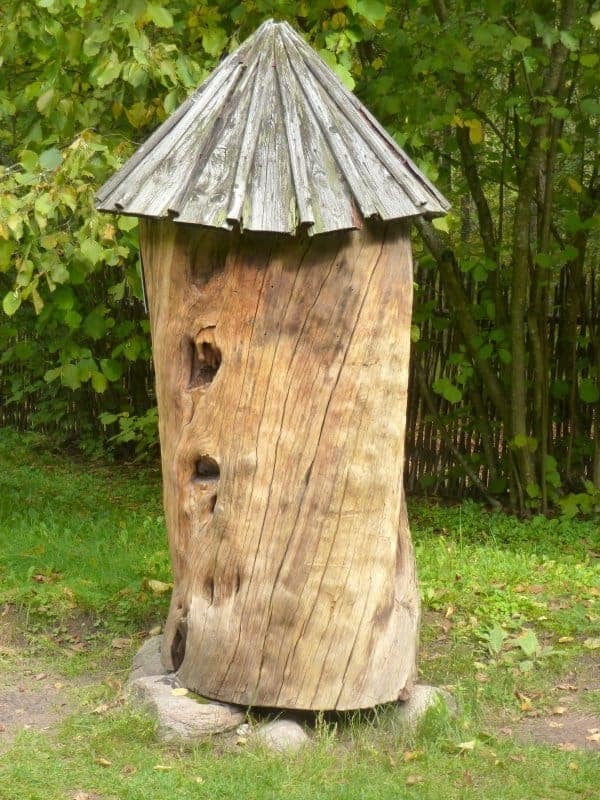 It was very pleasant to walk in the woods and to see the different types of vernacular architecture, brought to the site from the various regions of Latvia. Being towards the end of the season, there were not many other visitors, and very few people around to inhabit or to interpret the houses. 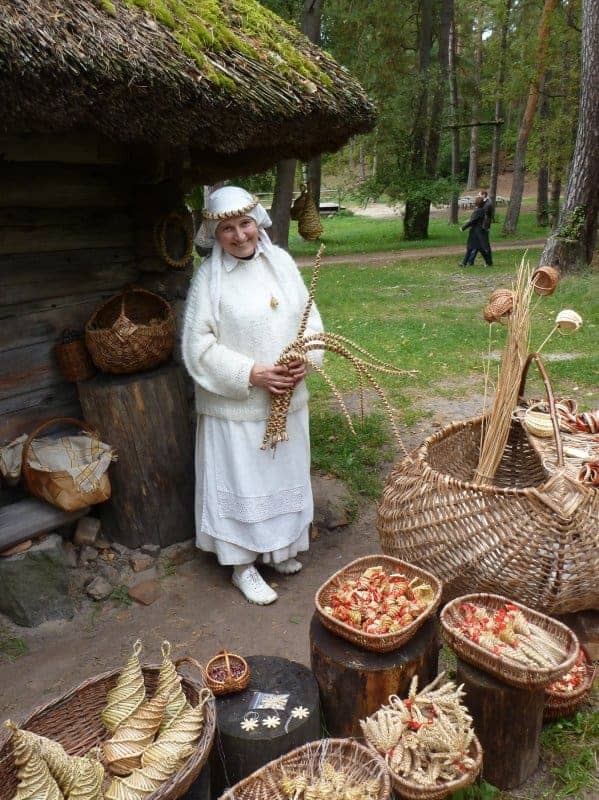 One of the people we did meet was this lady who was making and selling things woven from straw or from bullrushes, taken from the nearby lake.